Welcome to the home of the largest, organized, farm implement wrench collection in the world. 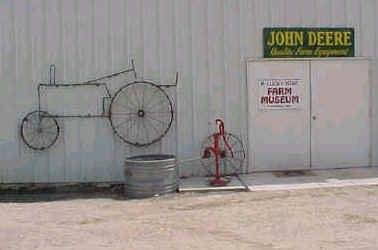 The collection is housed in a former tractor shed located in Marsing, Idaho, that was turned into a Wrench Museum in 1996. The museum contains over 4500 wrenches which are displayed in alphabetical order by company. It is also home to the world's largest SUGAR SACK collection. We are always in the market to purchase unusual implement wrenches and cloth sugar sacks. The owner of this collection is the author of The History of Old Time Farm Implement Companies and the Wrenches they Issued.